It was a good outing for the Indian contingent in the third Youth Olympics on Day 6 of the event in Buenos Aires, as India returned with two silver medals and one gold. However, only one silver out of those was added to India's official medal tally as the other two came through Mixed NOC competition, where athletes from different National Olympic Committee (NOC) compete. 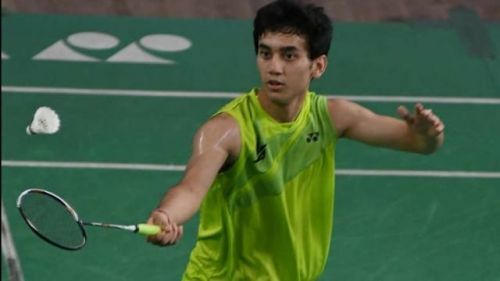 All eyes were on rising badminton star Lakshya Sen, who had held his nerves to win the semifinal against his Japanese opponent in the semis, but he was unable to replicate his showing, going down 15-21, 19-21 in the summit clash to win silver. This was the only medal that was added to India's medal tally, taking the country's overall tally to seven medals. He later on went on to win the gold in the Mixed Relay Team event, where he was part of a couple of mixed doubles matches. Manu Bhaker signed off India's shooting campaign with yet another medal. She along with her Tajikistan partner were the runners-up in the 10m Air Pistol International Team's event. The higher-ranked shooters had been paired with the lower-ranked shooters in this particular event. The nation also put themselves in the fray for two more medals by advancing to the semis in both the men's and women's hockey 5s competition. Here is how Team India fared on October 12 (Day 6) of the competition. Mixed International Team Ranking Round - Akash and Turkey's Selin Satir, with a score of 1296, were seeded 24th; Himani with South Africa's Wian Roux, with a score of 1274, were seeded 29th. Men's Singles Final - Lakshya Sen won silver after losing to China's Li Shifeng 15-21, 19-21 in the finals. Mixed Teams - Lakshya Sen, placed in Team Alpha, won gold. Men's Quarterfinal - India defeated Poland 4-2, with Shivam Anand scoring a brace and Maninder Singh, along with Sanjay, netting a goal each. Women's Quarterfinal - India defeated Poland 3-0, with Lalremsiami, Salima Tete and Baljeet Kaur scoring goals. 10 meter Air Pistol Mixed International Team Quarterfinal - Manu Bhaker with Tajikistan's Bezhan Fayzullaev advanced to the finals, but lost to the German-Bulgaria pair of Vanessa Seeger and Kiril Kirov 3-10 to win silver. Men's 200 meter Backstroke - Srihari Nataraj, with a timing of 2:04:80, finished 13th and did not advance to the final.